Châtel lies at a confluence of a group of valleys close to the Swiss border and in the heart of the vast Franco-Swiss Portes du Soleil ski area. 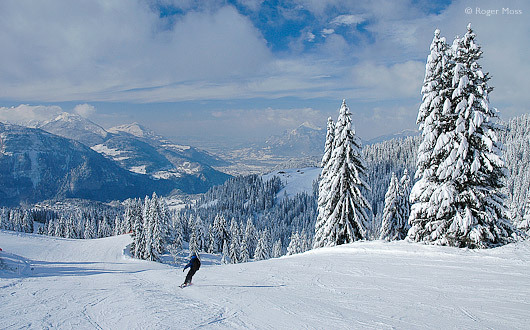 Its proximity to the international airport at Geneva and TGV rail stations at Thonon or Aigle (Switzerland) – each with high-speed services from Paris, London and Switzerland – has made this once-remote border village into one of the most desirable destinations for skiers searching for a traditional Alpine experience coupled with challenging skiing. Châtel is part of the vast Portes du Soleil ski area. 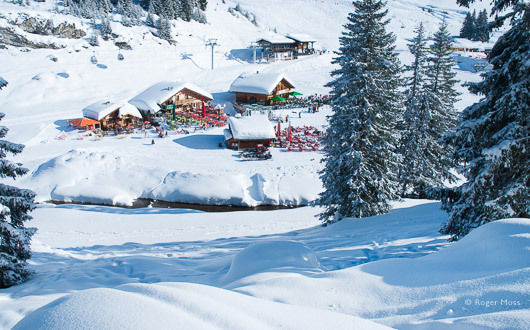 Families and beginners love Châtel's own pistes on sunny slopes above the town. With access to 600 km of slopes, spread across 12 villages in France and Switzerland, the vast Portes du Soleil area offers near-limitless skiing. Châtel’s own pistes lie on the sunny slopes above the village and most are favoured by families and debutants. There’s a lot to be said for skiing here, the Petit Châtel area in particular giving rapid access to the Swiss sector. You’ll also enjoy spectacular scenery, pristine pistes and an infectious, relaxed vibe. 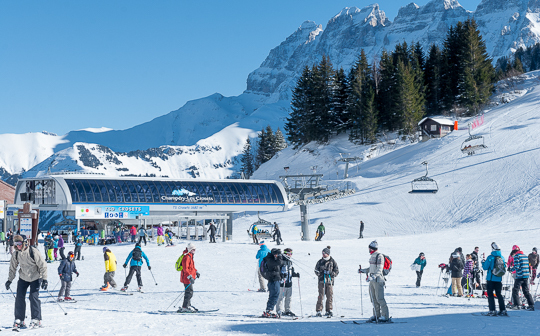 The Espace Liberté skipass gives access to the two connected areas of Châtel - Super-Châtel/Barbossine and Linga/Pré-la-Joux, the Corbeau sector of the Swiss resort of Morgins, Torgon (also Swiss) and the nearby French resort of La Chapelle d’Abondance. 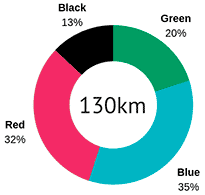 That’s a total of 130km of pistes and 61 ski-lifts – pretty good value, we’d say. To access the full Portes du Soleil circuit you can now take the Gabelou 6-seater chairlift for a blue-graded run down to the Linga chair or take the shuttle-bus to Pré la Joux (limited car parking). There’s some satisfying wooded terrain in both areas – great for less confident skiers or for times when visibility higher up is compromised. 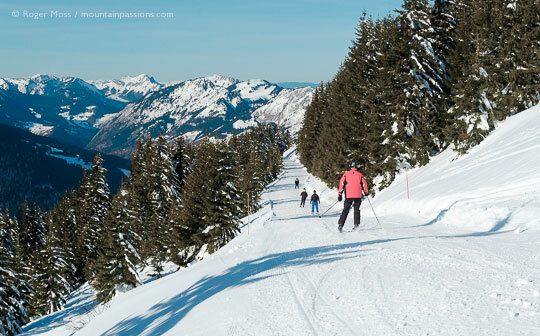 It’s also just a short hop over to Plaine Dranse and (just a little further on) Les Lindarets – meeting-points for several lifts, so often crowded with skiers moving between Châtel, Avoriaz and across the Swiss border to Les Crosets. Plaine Dranse and Les Lindarets are also popular lunchtime spots, as they have a choice of lively restaurants and bars. From there it’s an easy lift haul into Avoriaz and onward to Morzine and Les Gets. Alternatively, explore the Swiss side, which offers challenging runs into Champéry or some great intermediate cruising over to Les Crosets, Champoussin and Morgins. You can cover extraordinary distances like this. 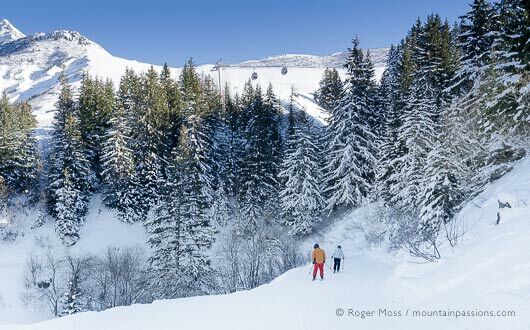 If that doesn’t appeal, explore the wide choice of runs above Châtel, which often have some of the best snow conditions, thanks to their aspect and tree cover. Finally, a shuttle-bus will drop you at nearby La Chapelle d’Abondance, which has further intermediate skiing, a snowpark and a charm all of its own. High altitude ski-in ski-out, car-free resort in the Portes du Soleil. Varied terrain for intermediates, plenty for advanced skiers and fantastic for boarders. Lively nightlife. 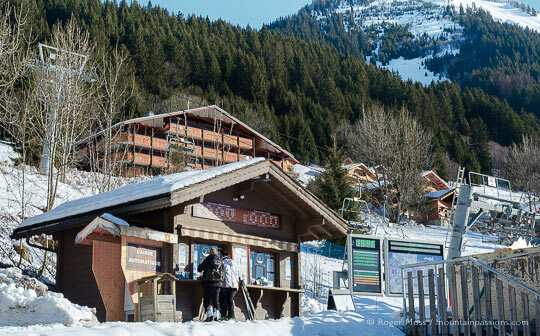 Authentic Savoyard village with plenty of shops, restaurants and activities, Morzine attracts skiers of all abilities. The village has earned the family-friendly Famille Plus label. 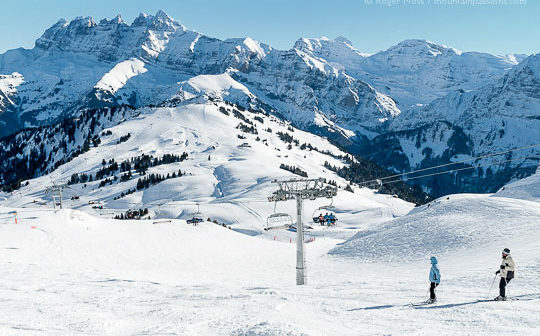 Part of the Portes du Soleil, the resort has safe intermediate territory among forested slopes and a sunny, mid-mountain beginners sector. Lively atmosphere in the evenings. 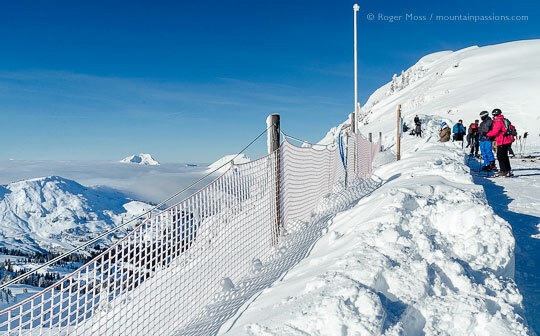 A desirable destination in a traditional Alpine setting, with some challenging skiing. 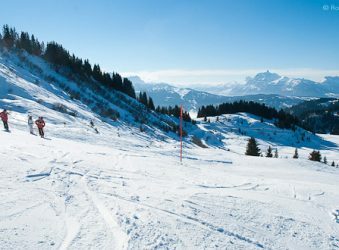 It lies on the French/Swiss border in the Portes du Soleil area with 650km of pistes. A year-round, working Alpine village with a traditional centre. The weekly market attracts locals and visitors alike. Despite steady expansion, in many ways Châtel remains a classic Alpine village. It lies at the head of a valley, is dominated by a sturdy stone église and has picture-postcard shops and restaurants lining narrow streets. 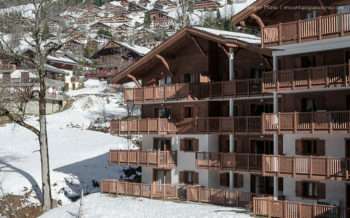 Traditional-style chalets cling to south-facing slopes surrounding the village centre, while more recent developments which have begun to spread over the lower valley slopes have brought quality apartment-style accommodation to an area formerly served mainly by small hotels and individual chalets. Savoyard developer MGM Constructeur is about to complete the final phase of Les Chalets d’Angèle, with a new development planned at Petit Châtel. As accommodation develops the shuttle bus service is becoming ever more important, and regular and frequent circuits between the village and ski lifts make Châtel an easy place from which to ski, while you leave your car safely tucked away in underground parking. The bus also serves nearby traditional, valley-floor villages of Abondance and La Chapelle d’Abondance, each with its own small ski area and offering various other winter activities including dog-sledding and cross-country skiing. 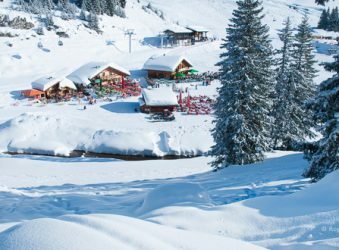 Why go skiing in Châtel ? As a Famille Plus Montagne resort, Châtel provides activities and services for all ages and for skiers with a disability. Mixed-ability groups will find variety on the local slopes, while mile-hungry intermediate skiers can really cover some distance exploring the Portes du Soleil area, both in France and across the nearby border with Switzerland. 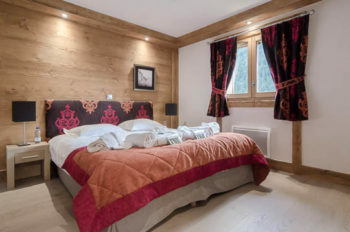 Châtel will also suit those who value a traditional Alpine village feel, and independent travellers now have a wealth of quality accommodation options including hotels, apartments and chalets. Freestyle fun suitable for all levels throughout the vast Portes du Soleil. Comprehensive guide for skiers with reduced mobility (French only) incl. parking, lift access, WC and tarif info. Discount 20% + companion goes free with Châtel or Portes du Soleil ski pass (conditions apply). Central reservation service for help with organising your accommodation. Good snow record, despite the relatively low altitude. Snowmaking on more exposed runs, and generally well-prepared pistes. Huge ski area, combined with friendly village atmosphere. There's more fine terrain just across the nearby Swiss border. Portes du Soleil not the highest-altitude ski area - but in a good season it's one of the best. Aim to ski any South-facing slopes early, while snow quality holds. Download the free Portes du Soleil mobile phone app - available for iOS or Android. Visit Châtel in summer too. See our Summer Resort Review. These 4* apartments offer a superb level of comfort and style in spacious accommodation. We stayed in a two-bedroom apartment with balcony offering splendid views over the valley. The double bedroom had an en-suite shower and hand-basin but there's also a family bathroom with bath and overhead shower and a separate WC. Although small, there's a well-equipped fitted kitchen/dining area, plus lounge area with a comfortable sofa which can convert into extra sleeping accommodation. The interiors are decorated with soft furnishings in warm hues, neutral and brown tiling twinned with natural wood, and as we have come to expect, super quality bed linen. Free WiFi is available in apartments, there's underground parking (payable), and a comfortable lounge in the reception area. The large indoor heated swimming pool has Jacuzzi etc. and an adjacent fitness room. You can also experience a full range of spa and beauty treatments in the Ô des Cimes – Spas d’Altitude. The free shuttle bus runs every 30 minutes during the day and stops at the entrance to the residence, so you can easily access the village and Super Châtel lift or the Linga and Plain Dranse areas for high-speed access to the Portes du Soleil ski area. Recently installed interpretation of richly documented tales of smuggling goods across the border between France and Switzerland. Legend, reality or fiction? The Centre recounts stories about the daring lives of the smugglers who played games of cat and mouse with the authorities. 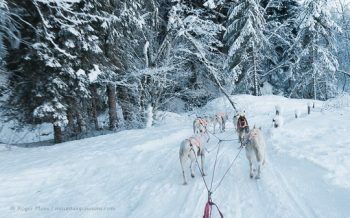 Experience the thrill of dog-sledding, either learning to drive the team of dogs or just sitting back and enjoying the ride. There's plenty of time to meet the dogs and learn more about them. Price €50 adults, €30 children for 30 mins or €60 per hour (min age 8 yrs) for full instruction in harnessing and sled driving. Situated in Plain Dranse where there's a good choice of places to eat. Here you'll find a cosy, traditional style interior with open fire and a great atmosphere. There's a large self-serve dining area offering a great range of hot food and salads and also a restaurant service with traditional dishes and daily specials. Much loved for its super cosy chalet style ambience, warm welcome and varied menus, whose highlights include the local Berthoud, using tasty Abondance cheese, plus fillets of Féra, freshly landed from Lac Léman. Alternatively, choose a pizza or the popular Burger à Lolo. Either way, there's also an excellent wine selection. The sun terrace of this authentic piste side bar/restaurant is the perfect spot for relaxed contemplation of the magical surroundings here in the Swiss sector. 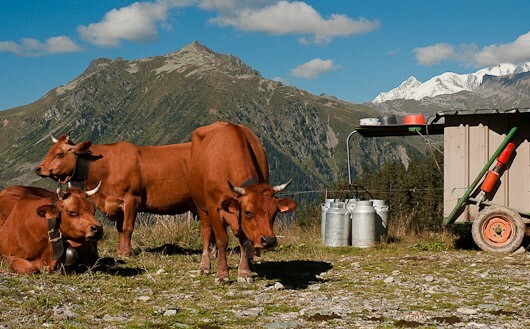 The classic Alpine menu specialities include highly-rated 'Käseschnitten' - a connoisseur’s variant of cheese-on-toast. We came across Snowpizz' by chance after skiing back to our car at Linga and in need of a late lunch. We enjoyed excellent and reasonably priced pizza's and beers at a table in the sun and overlooking the mountains. Our meal was unhurried and the service friendly. Take the A40 autoroute direction Geneva and exit at Annemasse. Follow signs for Thonon-les-Bains then Vallée d'Abondance/Châtel. Geneva airport is just 1hr15min from Châtel. Hire a car when booking your flight or book a bus or transfer in advance. Travel by Eurostar from London to Paris then take the high-speed TGV train to Thonon-les-Bains (change at Bellegard or Annemasse). With its neat scatter of individual chalets huddled against the mountainside, Châtel provides a traditional alternative to purpose-built ski villages. That’s in our thoughts as we leave the route which heads into the heart of the village and instead take the road which snakes along the floor of the valley. Well before things become decidedly chillier below the winter shade-line, we reach Les Chalets d’Angèle. After checking-in, garaging the car securely in the on-site underground parking and transferring skis and luggage, we spend a few minutes taking in our new surroundings from the balcony of our stylish 4-star apartment in the fast-fading afternoon sunlight. Just beyond the next ridge lies Les Lindarets, from which you can take a lift direct to Avoriaz, or do as we do and ride past it on the haul up to the Pointe des Mossettes. It’s a memorable ride, not least for the magical snowscapes beyond Les Brochaux, over which we float in childlike wonder. At Petit Châtel, buy your ski pass at this charming chalet. We awake to brilliant sunlight and gaze out upon chocolate-box scenery, eager to head out and explore the ski area, very little of which is visible from the village itself. 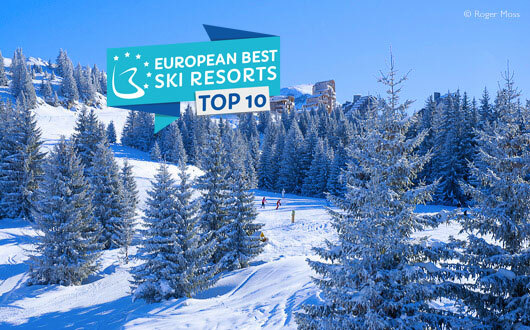 If you’ve read our Resort Reviews for Avoriaz, Les Gets and Morzine then you’ll already have a feel for the Portes du Soleil, so we won’t bore you by repeating the basics here. Instead we’ll look at two particular days’ skiing which for us reveal the kind of qualities which make Châtel an excellent base from which to explore this huge ski area, despite some pretty stiff competition. As the road map will confirm, little more than 1km beyond the village lies the Franco-Swiss border, an appealing thought to which we can add another, namely that you have near-instant access to the Swiss ski terrain by simply taking a couple of chairlifts in the Super-Châtel Barbossine sector and skiing into either Torgon or Morgins. They’re lift-linked, too, so if you wish you can start your day this way, working your way round to Champoussin, Les Crosets and Champéry. Dropping into Plaine Dranse, a good spot for refreshments. Skiers overlooking ski terrain from snow-covered ridge at Tete de Linga. We begin the more mainstream way, however, by taking the Linga high-speed gondola lift, which supplies definitive overviews of the village and its serene valley setting before dropping us at 1776m. From here there’s a choice of return pistes (graded Black, Red and Blue) but we transfer to the Echo Alpin six-seater chair, another high-speed lift which hauls us smoothly to 2073m and drops us just below the Tête de Linga (2156m). 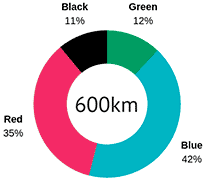 There’s a steepish Red return piste, but for most skiers the focus is an onward cruise — choose from Red or Blue — round to Plaine Drance. 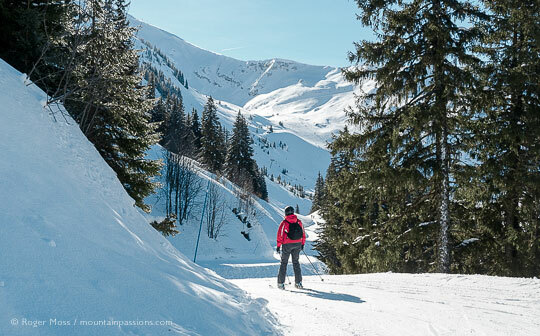 This relatively sheltered bowl is also served by lifts from Pré la Joux, another popular access-point just a couple of minutes from the village by shuttle-bus. Plaine Drance is a popular spot, with the allure of some worthwhile Blue- and Red-graded pistes. Better still, just beyond the next ridge lies Les Lindarets, from which you can take a lift direct to Avoriaz, or do as we do and ride past it on the haul up to the Pointe des Mossettes. It’s a memorable ride, not least for the magical snowscapes beyond Les Brochaux over which we float in childlike wonder. 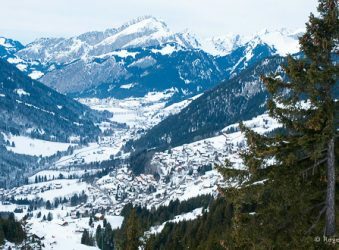 Skiing over to Switzerland from Chatel couldn’t be easier thanks to an efficient lift-system and easy return runs. 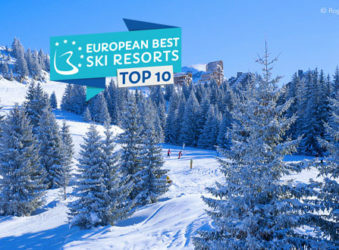 Expert skiers might choose the celebrated black-graded Chavanette or ‘ Swiss Wall’ piste from Avoriaz into Champéry, while most skiers will enjoy the scenic route from the Pointe de Mossette for a descent into Les Crosets on the Swiss side. If you intend crossing the border, remember to take your passport or ID. Restaurants will take Euros. By now we’ve crossed the border into Switzerland, although apart from a small sign beside the loading area of the chairlift in Les Brochaux there are few signs of the cross-border hop which lies ahead. At the top, though, there’s a tangible sense of transition. We’re now at a healthy 2277m, the scale of our surroundings finally dawning on us as we look back in awe to where we’ve come from. In fact, what we can see represents only the latter part of our route, since the view falling away beneath us doesn’t end at the village (which is completely hidden from view), but merely the mid-mountain area around Les Lindarets and Ardent. If we were to simply turn around right now and head back to our starting point then it’s clear that we’d have some epic skiing ahead of us, but the lure of what lies ahead is irresistible, so we follow the signs to Les Crosets via the connector piste which crests the nearby ridge. In such a high and an exposed spot there can be few days when there’s not a breath of wind, so perhaps today’s breezy but sunny conditions are as good as it gets here. Before us, at the arrival point of a draglift to our right, a few skiers are peeling off right to take the Red-graded piste which feeds onto a long Blue cruise back down to Les Lindarets, while we schuss on for a little longer before turning left. Below us in a wide bowl are the Alpine chalets of Les Crosets, from which several lifts serve what looks like a good selection of pistes. The terrain over here is graded either Red or Blue, and the setting is truly dazzling, with a sense of having stumbled upon a whole new set of possibilities, all of which look and feel very different from what we’ve experienced during the route which has brought us to this magical spot. After an initially bracing run towards the heart of it all we take a right-hand fork and use the resulting calmer pace to look around and take in the beauty of the scenery. At the bottom we decide to do more of the same by taking a coffee break on the sun terrace of the Restaurant Buvette Chez Yoyo et Jibi, the kind of classic Alpine chalet you dream of finding in just such a setting. A dazzling setting as skiers drop into Les Crosets. There's a choice of directions to choose from at Les Crosets. Currently out of view are onward runs to Champéry, Champoussin, and Morgins. The skiing here has acquired something of a reputation for being demanding, but we can’t help thinking that the culprit is the access from Avoriaz via the tough La Chavanette black piste — better known to UK skiers as the Swiss Wall. However, the Pointe de Mossette offers intermediates an altogether more benign alternative way over, and the fun doesn’t stop once you’re here. Had we not had a lunch appointment back beyond Plaine Dranse we’d have skied down into Champéry and spent some time exploring the runs around Champoussin. And then? Well, to round it all off in style, we’d have skied all the way back to Châtel — something which is entirely possible by way of the long Blue-graded cruising runs which drop from Les Crosets down to Morgins. From there a couple of lift rides bring you to the final cruises into Châtel. What this amounts to is a highly rewarding and varied circuit within the Portes du Soleil but without having to commit to the epic scale of a perimeter tour. Now we think that’s pretty special – and we haven’t even looked at the further terrain which lies between Châtel and Torgon). That’s why, like countless skiers, we’ll be back just as soon as we have the chance, to find out exactly what we missed.